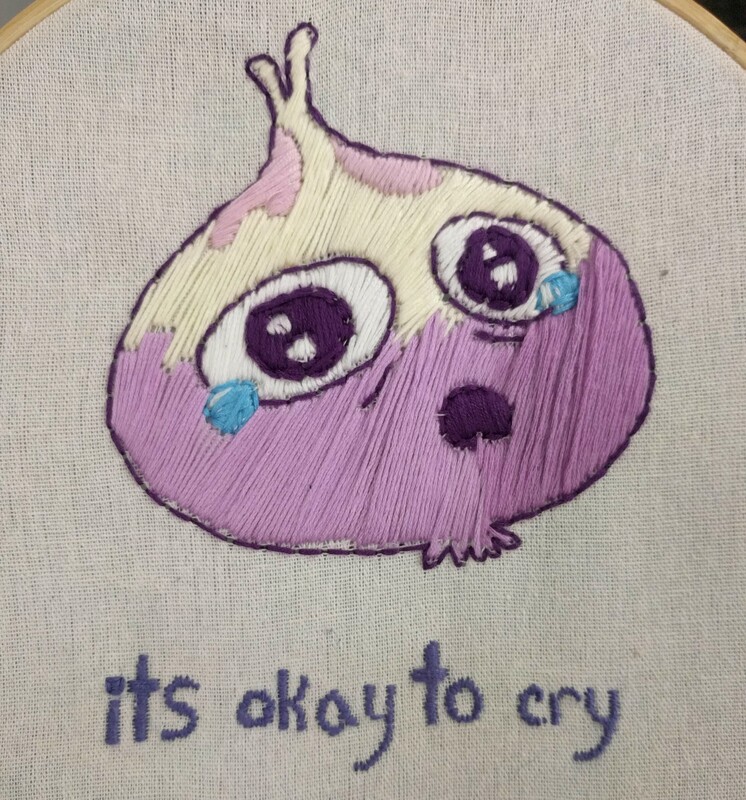 So like with the last devlog these patchnotes are spoilery so just to be safe I'm going to put this picture of Aubrey's adorable cross stitch of the sad onion before the patch notes. Oh hey you made it. The last patch was a quick fix, this one is much more sizable. Some of these are changes we have wanted to get into the game for a long time.